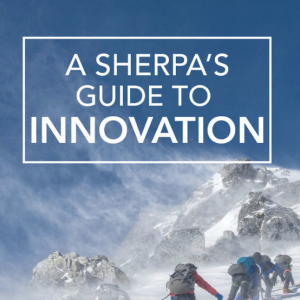 Improv & Innovation: Mindhatch Founder Appears On "A Sherpa's Guide to Innovation"
Mindhatch Founder & CEO, Coonoor Behal, was recently interviewed on the “A Sherpa’s Guide to Innovation” podcast to discuss using improvisation for innovation, creativity, and human centered design. They even play FIVE THINGS, Mindhatch’s improv card game! Please have a listen to Episode 27: At The Intersection of Improv & Innovation on the Apple iTunes or Spotify links below (additional ways to listen appear at the end of this post).